Prepare to wander and explore – and don’t forget to bring your curiosity. We’ll show you old-fashioned hospitality, Halton style, combined with a wealth of heritage, a twist of culture and stunning natural beauty. 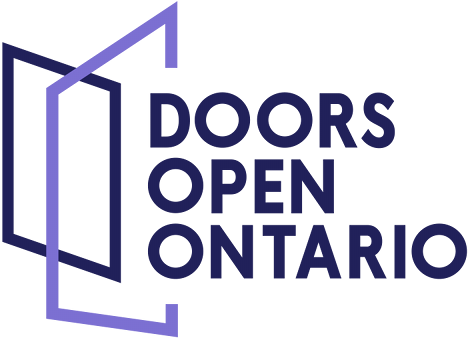 Hundreds of volunteers and staff in Burlington, Oakville, Milton and Halton Hills will be working hard to ensure a second-to-none Doors Open experience. We are waiting to welcome you and showcase the hidden gems that we are so proud of (many not normally open to the public.) Historical buildings, museums, private homes, places of worship and cultural venues abound. We promise to provide plenty to see and do that will enlighten, entertain and connect you to our communities. Come visit us at the Home! Our unique oasis is a state-of-the-art facility nestled in 77 acres on the Niagara Escarpment. Rarely open to the public, this one-of-a-kind building provides a Home Away from Home for children. Enjoy the therapeutic gardens, waterfall and walking trails. Tours of the building will be provided every hour on the half-hour and self-guided tours of the property can be done at your leisure. Take a stroll through the trails, sit on the benches and enjoy nature or stop by the campfire and enjoy a s’mores treat!